Susan's Disney Family: The Nightmare Before Christmas returns to theaters for avlimited time! The Nightmare Before Christmas returns to theaters for avlimited time! 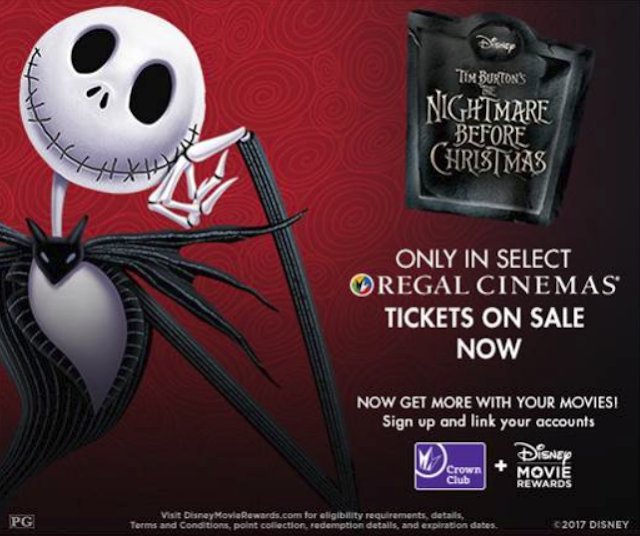 Have you heard about the super special going on at Regal Theaters for Halloween weekend, Friday, October 27th – Tuesday, October 31st, you can celebrate the Halloween holiday with Jack Skellington, Sally, Oogie Boogie and more as Disney’s beloved classic The Nightmare Before Christmas as it returns for a limited engagement exclusively in over 300 Regal cinemas locations nationwide! Are you excited?? I never got to see the film in theaters, this is going to be such a fun treat for my family and I! 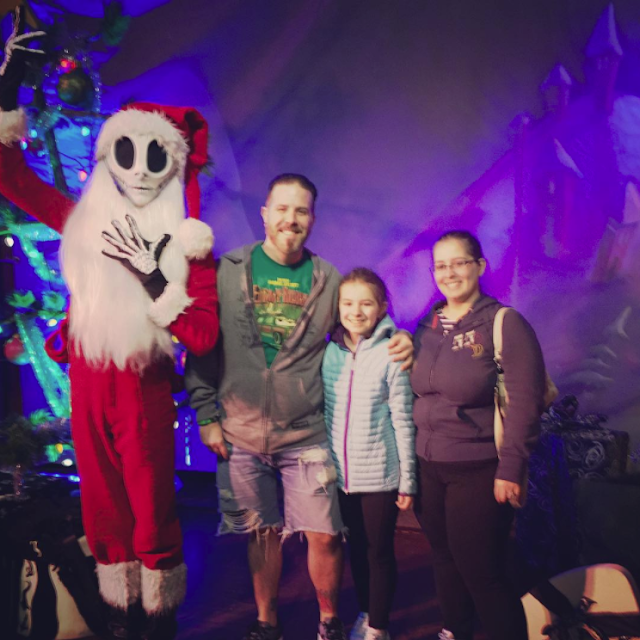 We are huge fans of the film, and of course we just had to meet Sandy Claws aka Jack Skellington at Disney World a few years back. For tickets and information visit: http://regmovi.es/beforexmas. Will you be checking out Disney’s beloved classic The Nightmare Before Christmas in theaters? Too bad there isn't a Regal anywhere near us. I have seen some awesome Nightmare Before Christmas themed Halloween decoration scenes this year though!